The current Hollywood fad for 3D is nothing new. Back in the early ’50s, 3D was all the rage as Hollywood struggled to compete with the growing phenomenon of TV. 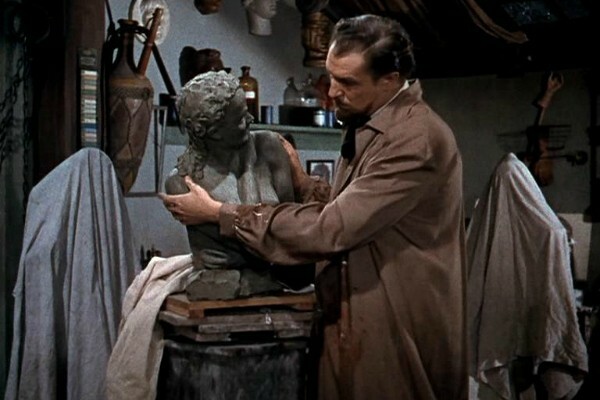 One of the best 3D movies of this initial period was the Vincent Price horror flick House of Wax, and tonight, Friday, it returns in 3D to the Lighthouse. It’s great fun and exploits the 3D gimmick with plenty of objects being thrown in your face. Look out for Charles Bronson in an early role as Price’s assistant Igor. The week’s best new release comes from Argentina in the form of Wild Tales, an anthology of six short stories in which characters are driven to extreme behaviour. Two of the segments are duds but the other four are gripping, inventive and often hilarious. Disney continues to reboot their classic back catalogue with a new version of Cinderella, this one directed by Kenneth Branagh of all people. Commendably, it avoids any postmodern tinkering, delivering a straightforward retelling of the story. It’s a little too straight though, and there’s nothing new here, but it does look impressive. The Face of an Angel is loosely based on the media circus surrounding the case of Meredith Kirchner’s murder but it provides little insight into the case, focussing instead on a clunky tale of a documentarian’s existential crisis. Blind gives us characters and a story created in the mind of another character within the film, and as such it’s difficult to become invested in their plight when you know they can be manipulated willy nilly. It’s a movie that’s a little too clever for its own good.